Despite not being a Tank, the Scorpion was a successful indigenous as well as export vehicle. It saw action with the British Armies Blue & Royals (Royal Horse Guards and 1st Dragoons) in the 1982 Falklands War and still holds the world record as the fastest tank in the world. The FV101 Scorpion was designed and produced as a replacement to the Saladin armoured car, as an air-portable armoured reconnaissance vehicle, by the British firm Alvis Vickers. It was part of the Combat Vehicle Reconnaissance (Tracked) program AKA CVR(T). The first prototypes were completed in 1969. After successful field trials production began, with first deliveries being made in 1972 and was accepted into service with the British Army in 1973. The Scorpion is not a true offensive vehicle or effective tank killer, as its armourments are more for self-defence. It was designed to be light, fast and agile so that it could speed in & out of enemy territory to gather information such as enemy strength, weapons and also other physical barriers such as terrain and report this back to the main offensive force. The Scorpion is mounted with the British Aerospace Defence L23A1 76mm main gun, which can fire HESH & high explosive rounds. It is also equipped with a coaxial 7.62mm MG and two sets of four smoke grenade dischargers. The Scorpion was originally fitted with the petrol Jaguar J60 6-cylinder engine, however most of these were replaced with the current Cummins BTA 5.9 diesel engine, providing a top road speed of 80Km/h. The Scorpion has been built in the UK and under licence in other countries, predominantly Belgium who produced and equipped the Belgian Army with over 900 of them. It has also seen service on practically all continents, Botswana in Africa, Chile in South America, India & Iran in Asia, Ireland & Spain in Europe and New Zealand in Australia. Between 1972 – 2004 over 3500 Scorpions had been produced. The L23A1 76mm main gun, is replaced with the Belgian Cockerill 90mm Mk III. This carries five ready to fire Swingfire, Wire-Guided Anti-Tank Missile. The Swingfire is due to be replaced by more modern ATM’s. Is an Armoured Personnel Carrier. It’s generally used for transporting specialist personnel such as AA missile troops and technicians. This is the ambulance variant and can carry up to six patients. Is the command version with a higher roof than other variants, to create a mobile office. Is the armoured recovery vehicle. Is a further development of the FV variant and is an APC & multi-weapon carrier platform, such as the Starstreak surface-to-air missile system. 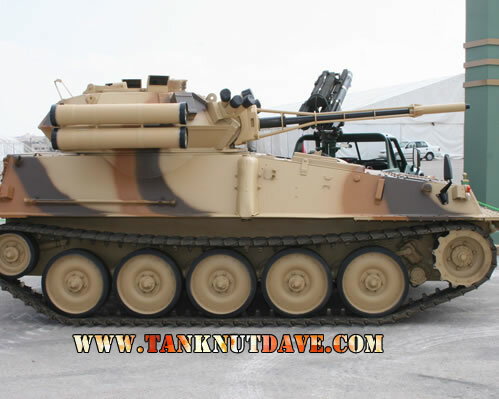 Is another reconnaissance tank identical to the Scorpion, except it mounts the 30mm L21A1 Rarden main gun. It still remains in service with the Cavalry regiments of the British Army and The Royal Air Force for bomb disposal and security at its air bases. The Scorpion ended its service with the British Army in 1994. It did however escape the scrap heap. ALVIS PLC replaced the turret (whilst keeping the hull) of the Scorpion with an up-graded turret removed from the wheeled Fox reconnaissance vehicle which has also ended its service with the British Army. Roughly 136 of these new ‘hybrid’ vehicles are said to have been produced and were designated the ‘Sabre’. 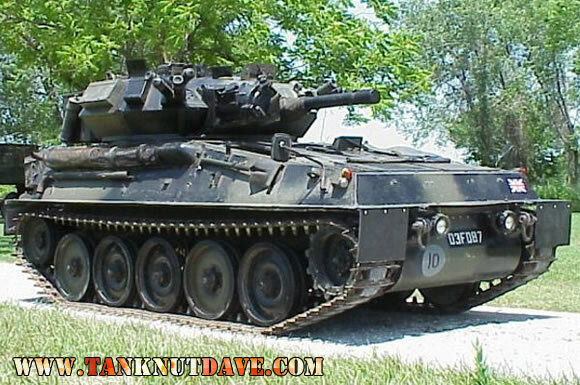 It was withdrawn from service with the british Army in 2004. Jordan is currently up-grading its Scorpion fleet. The work is being completed by King Abdullah II Design and Development Bureau AKA – KADDB.